The travel trade loves its abbreviations and acronyms. The only industry I can think of using abbrevations more is the computer industry. 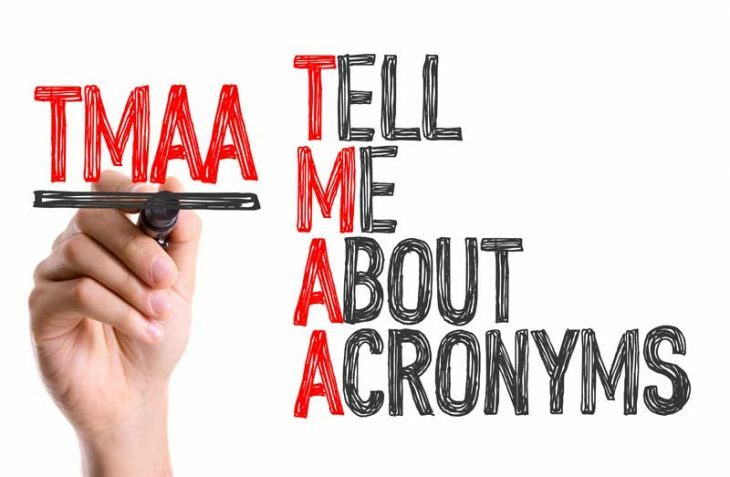 This is a short list of abbreviations and acronyms that can be good to know when reading or speaking about travel. APEX = Advance Purchase Excursion Fare. A type of ticket that is almost extinct nowadays since airline pricing has changed a lot the last 10 years. APT = Airport (or Airline Passenger Tariff which is a discontnued thick book with IATA-fares). ARC = Airlines Reporting Corporation. An organisation who collects fares from travel agents and distributes it to the airlines. Most commonly used in USA. See BSP for Europe. ARNK = Arrival Unknown. The portion that is land transportation in an air ticket. See SOJ. BSP = is short for Bank Settlement Plan. An organisation who collects fares from travel agents and distributes it to the airlines. Most commonly used in Europe. See ARC for USA. C = Booking class used for travel in Business Class. CLIA = Cruise Lines International Association ID number. Similar to ARC but without the possibility to issue IATA tickets. CRS = Central Reservation System. CRS is usually the booking department for a chain of hotels. CTO = City Ticket Office. DMC = Destination Management Company, is a local agent on the destination. DMO = Destination Marketing Organization. Economy = yes, it is Coach. EMD = Electronic Miscellaneous Document. Previously called MCO. F = Booking class used for travel in First Class. Fare Ladder = This is where the fare is outlined on the ticket and in the booking. FCPI = Fare Calculation Pricing Indicator. GBTA = Global Business Travel Association. GDS = Global Distribution System (Sometimes a little wrongfully called a CRS). IATA = International Airline Transport Association which is a trade organisation for the airline industry. Please visit http://www.iata.org/ for more information. IATA Code – is the three letter code for an airport or city assigned by IATA. One example is LON for London Airports where LHR is the specific code for London Heathrow Airport. Interline Agreement = two different airlines on the same ticket. I.e starting your trip with BA from London and changing to Qantas on your way to Sydney. ISO = International Organization for Standardization. J = Booking class used for travel in Business Class. M = Booking class used for travel in Economy Class. MCO = Miscellaneous Charge Order. Substituted by EMD:s nowadays. MICE = Meetings, Incentives, Conferences and Events. MLOS = Minimum Lenght Of Stay. Expression commonly used with discounted hotel rates. OAG = Official Airlines Guide. OJ = Open Jaw. See SOJ too. OTA = Online Travel Agent. P = Booking class used for travel in First Class. PTA = Prepaid Ticket Advice. RAR = Revenue Analysis Report. RBD = Booking Class of a Flight. REN = Refund Exchange Notice. RT = Round Trip or Return. RTW = Round The World. Some carriers or alliances offer special, discounted tickets around the world. Slot = alloted time for aircraft movement at an airport. In other words times the airline may have their aircraft parked at the airport. SOJ = Single Open Jaw. A ticket New York – Los Angeles / San Francisco is an Single Open Jaw when constructed on half roundtrip fares. The transportation Los Angeles – San Francisco is an ARNK. SOP = Standard Operating Procedure. TIMATIC = Travel Information Manual Automatic. Database with visa and entry regulations for almost every country on earth. TWN = Twin bedded room. UCCF = Universal Credit Card Charge Form. Extinct nowadays and taken over by electronic transactions. Y = Bookings class used for travel in Economy. Z = Time Zone Coordinator. Also known as GMT. This is a working document and updated continously. Please let us know if we are missing anything! We would love to hear from you via email, in the comments below, on Twitter, Facebook , Instagram or Google+.